Easy to use and can be completely installed in mintues. 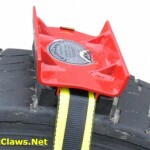 Dual directional cleats with double tiered design give you amazing results when getting unstuck fromsnow,ice and mud. 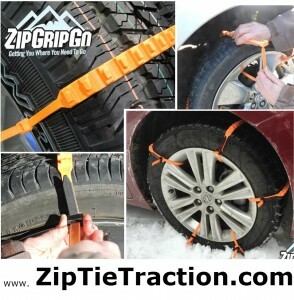 Unlike chains you can’t put on when stuck, ZipGripGo allows you to get out and going again when stuck. Each Zip Grip Go package can easily be stored in a trunk, glove box, suit case, or back seat. Easy and light to carry in the back of your car. Amazing results in the cold winter and hot summer climates. Easy to use even AFTER getting stuck. Fully adjustable to fit any tire size up to 22 inches. 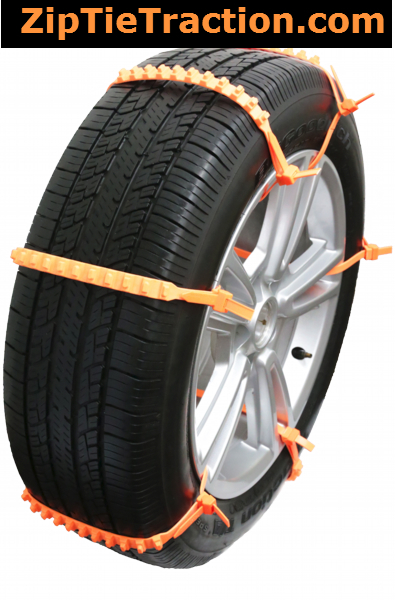 Zip Grip Go is a new, innovative emergency traction aid for drivers who want or need the assurance of snow chains but prefer the convenience zip ties. 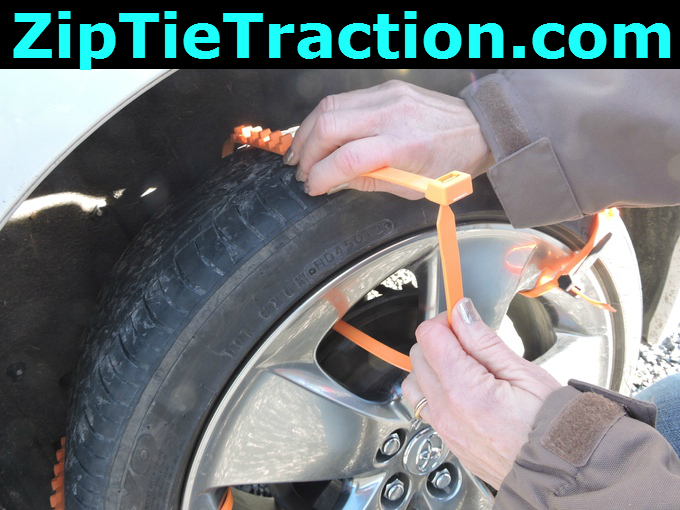 Keep in mind that these are not your traditional “Zip Tie” as they are super tough and durable so there is no need to worry about them breaking off easily. Designed to work best for driving your car, van or truck short distances and at slower speeds until you get un-stuck and to safety. Quickly installs even while your stuck. Each Package includes 10 cleated ties with locking mechanisms. 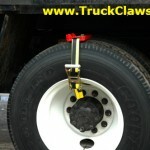 We have a comparable solution for SUV’s and Small Commercial Vehicles (TruckClawII) and for large tractor trailers (The Original TruckClaw).